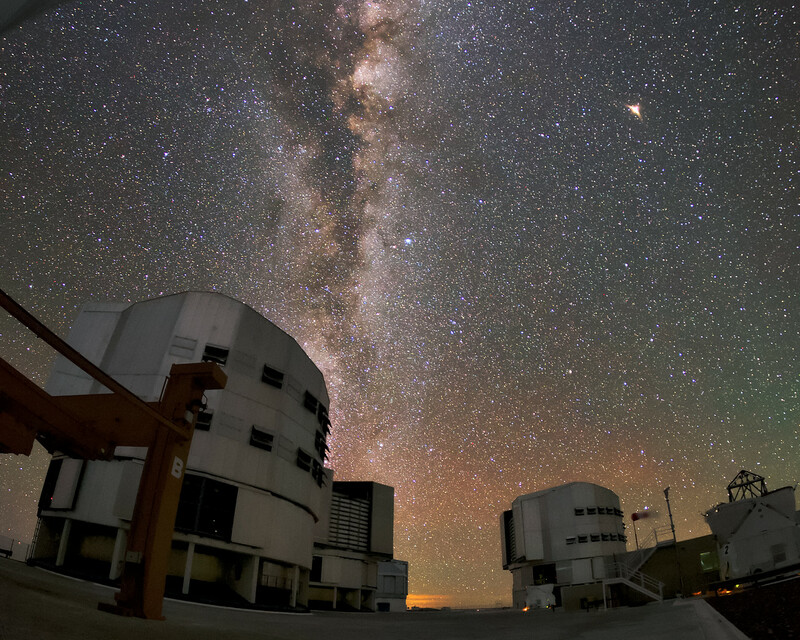 The unit telescopes of the VLT under a clear night sky at ESO's Paranal Observatory. 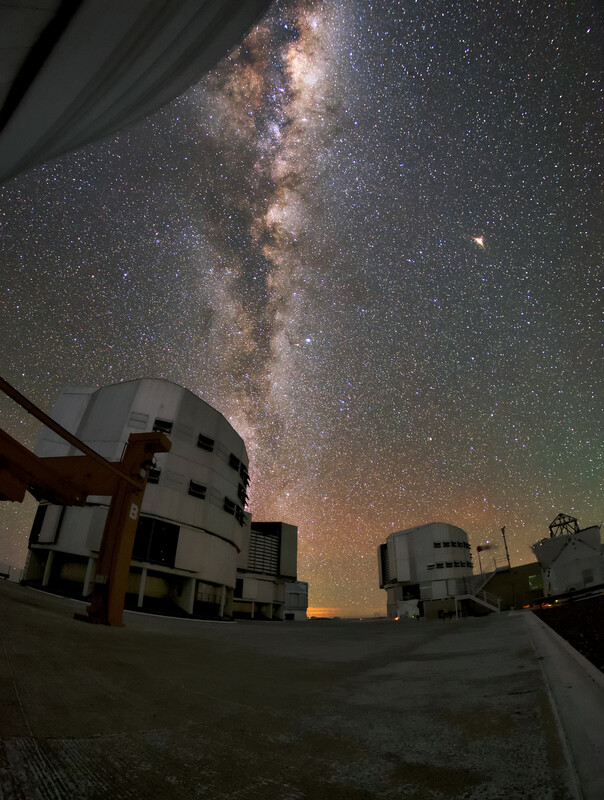 Each of the unit telescopes is installed with a different set of instruments, each one purpose-built to study the Universe in a particular way and answer a different question. 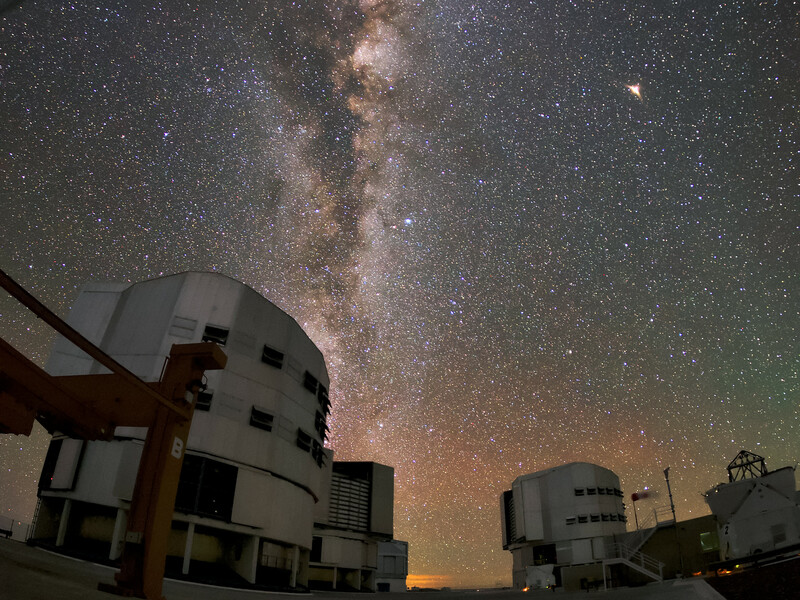 The VLT instrumentation programme is the most ambitious ever conceived for a single observatory, covering all major modes required to tackle most current front-line research topics. 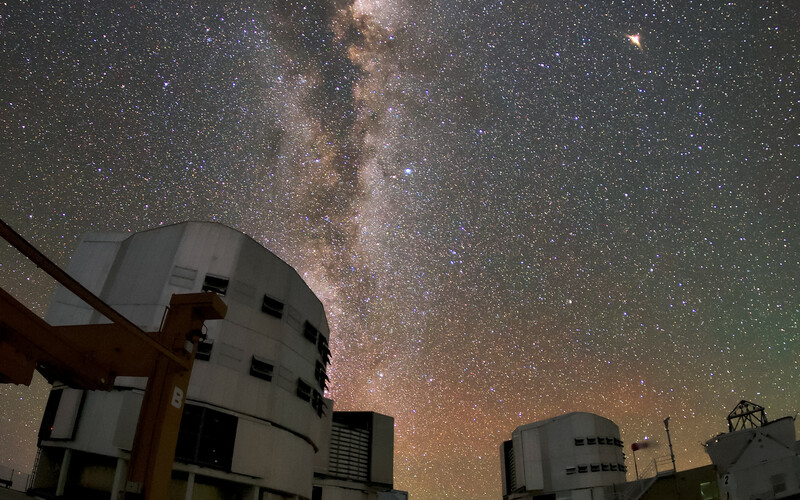 This well-equipped facility has stimulated a new age of discoveries, including some exciting astronomical firsts, such as the first image of an extrasolar planet and the tracking of stars' movements close to the supermassive black hole at the centre of the Milky Way.